Melissa grew up in El Paso, Texas. She attended North Texas State University and graduated from Angelo State University with a B.S. degree in Education. Melissa’s first camping experience was as a camper at Skyline Ranch in High Rolls, New Mexico. In 1977, Melissa began her camping career as a counselor at Camp Arrowhead and has not missed one summer since. 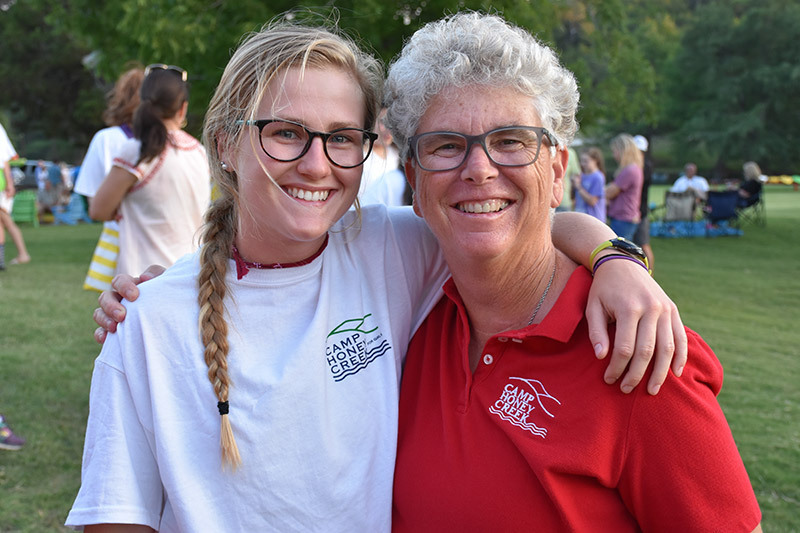 She taught school for eleven years, became full-time associate director in 1990 at Camp Arrowhead and was on the inaugural leadership team at Camp Honey Creek in 2002. Melissa loves being outside and when she is not at Camp, she can be found on the golf course or playing with the Camp Golden Retrievers, Putter and Augusta. Lisa grew up in Sundown, Texas. She attended South Plains College and graduated from Texas Tech University with a degree in Elementary Education specializing in Special Education. 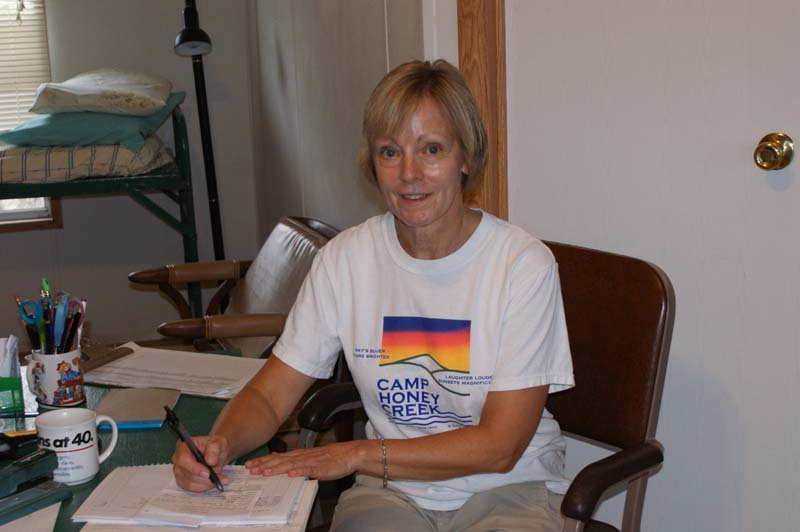 Lisa began her camping career at Camp Arrowhead in 1977 as a workshop counselor. She became the head of the workshop in 1981. Lisa taught for twenty-three years and in 2002 became the full-time Summer Dreams Program Director. In addition to coordinating meals, schedules and programs, she also facilitates team-building activities for our off-season groups. In the summertime, in addition to her workshop and pottery duties, she also tutors campers who need a little extra help with their schoolwork. Lisa is an avid San Antonio Spurs fan and spends her free time watching basketball and doing various craft projects. A Corpus Christi native, Katie attended Texas State University in San Marcos where she obtained a B.S. degree in Elementary Education. 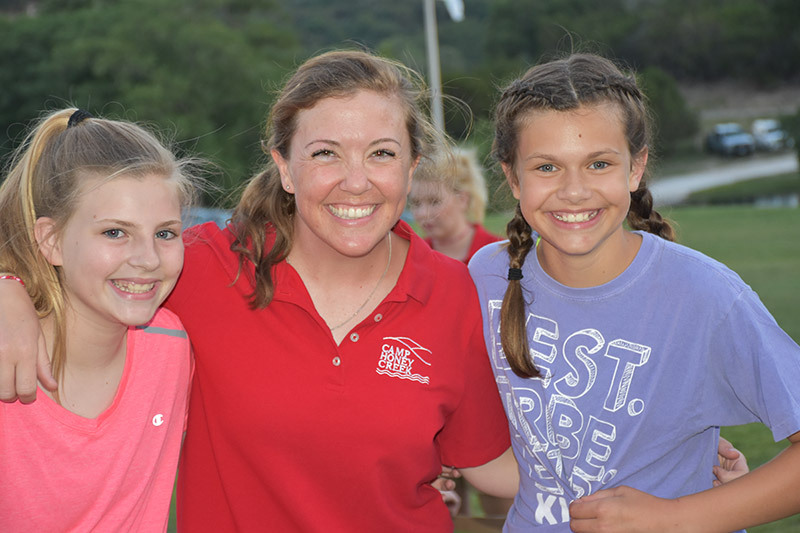 Katie’s first taste of camp was as a camper at Camp Arrowhead when she was 9 years old. She planned to stay for 10 days but ended up staying the entire term and hasn’t looked back since. Her dream has always been to work at Camp year-round and that dream came true in 2009 when she was hired full-time. Katie is our Waterfront Director where her duties include training our waterfront counselors and ensuring the safety and care of swimming, canoeing and synchronized swimming classes. Katie loves to laugh and shares her happiness with those around her. She keeps all of us young! 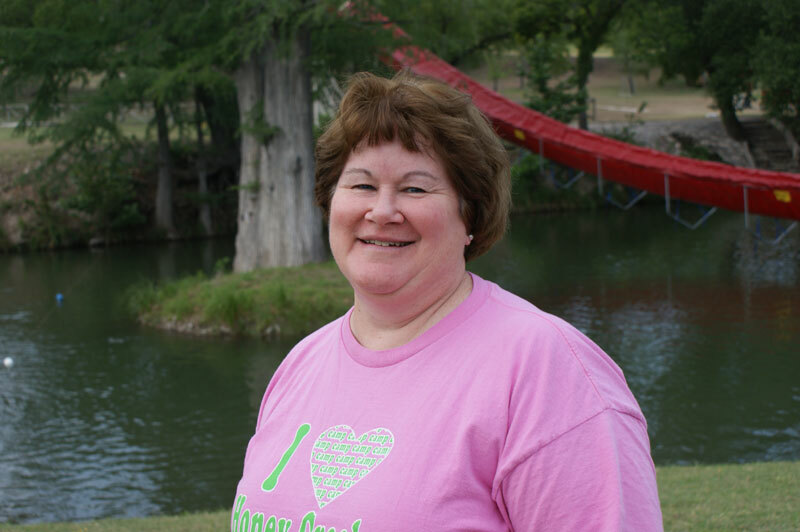 Linda was born and raised in Kerrville, Texas and started working as Camp Arrowhead’s bookkeeper in 1986. She continues that position today at Camp Honey Creek and is responsible for camper accounts and employee records. Linda spends her free time playing with her grandchildren, planning garage sales, and is married to Earl Sevey. Kathleen Cunnane began her camping career as a young child at Camp Arrowhead. 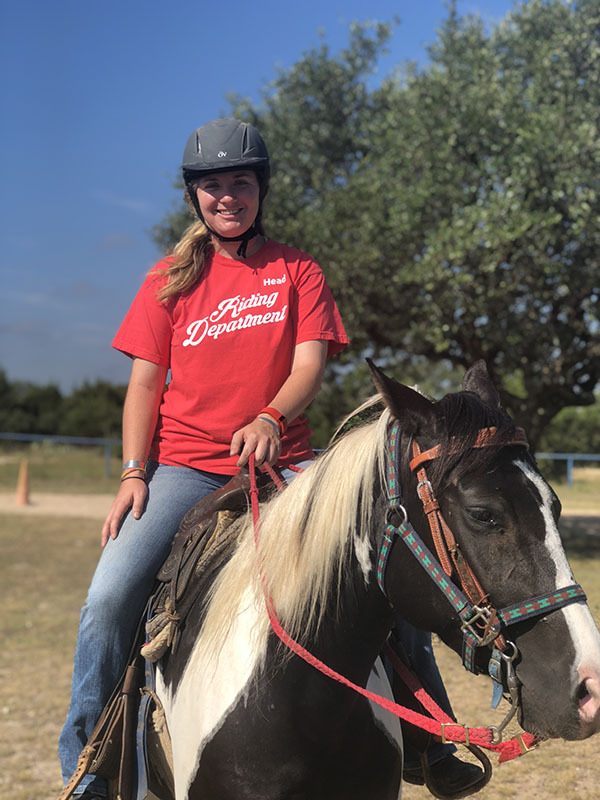 She was a twelve year camper and a riding counselor for four years before becoming head of the riding department in 2011. Kathleen graduated from Kent State University in 2014 with a BS in special education and is currently a 5th grade special education teacher in the Judson School District in San Antonio. Kathleen grew up in Colorado and loves the outdoors, horses, hiking, running, and spending time with her nieces and nephews. Jeannie grew up in Austin, Texas. She received her B.S. in Electrical Engineering from UT Austin, an M.S. in Math and an M.A. in Educational Leadership from UTSA. Jeannie’s first taste of camp was as a 9 year old at Friday Mountain Girls Camp. 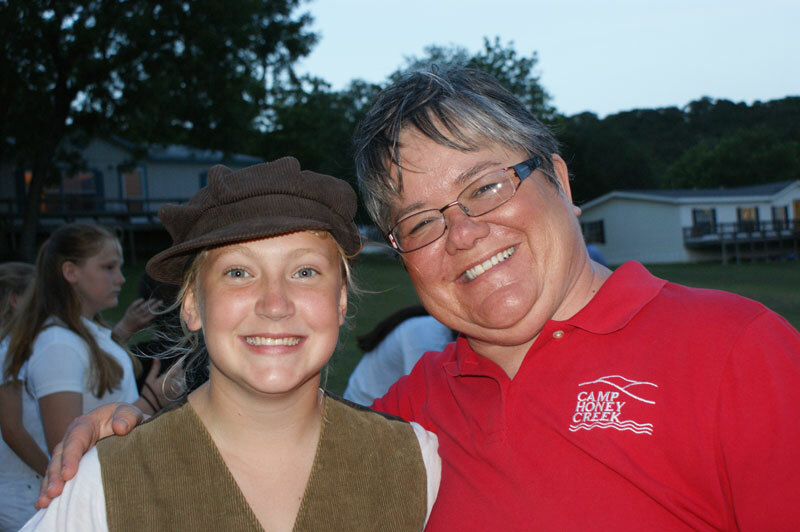 She worked as head of riflery for 17 years at Camp Arrowhead and continues that position today at Camp Honey Creek. 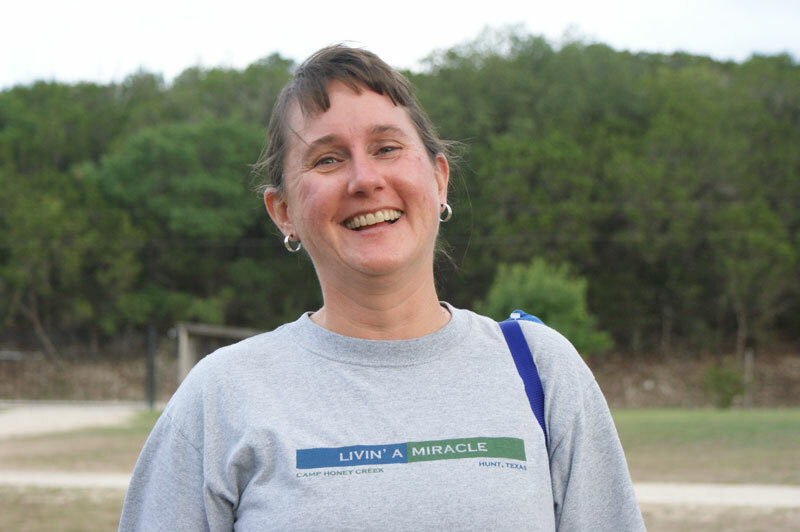 Jeannie is a math teacher, coordinator for academic, art and music competitions, is on the administrative team at Our Lady of the Hills Catholic High School in Kerrville and is married to Guy Hilsabeck. She also tutors campers (and sometimes counselors) who need a little extra help in math. Jeannie’s arithmetic skills come in extra handy in the summertime when we’re trying to figure out how many hot dogs to cook for 200 campers! 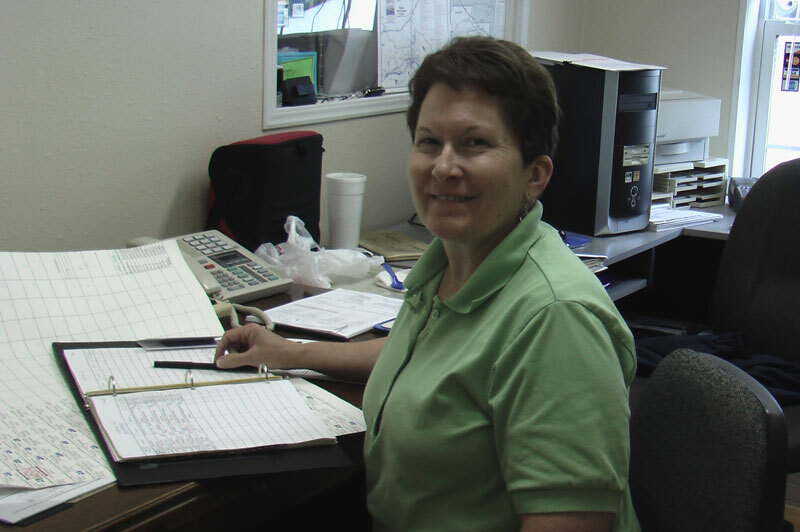 Susan grew up in Corpus Christi and now resides in Alvin, Texas. She received her B.S. in Nursing from UTMB Galveston. 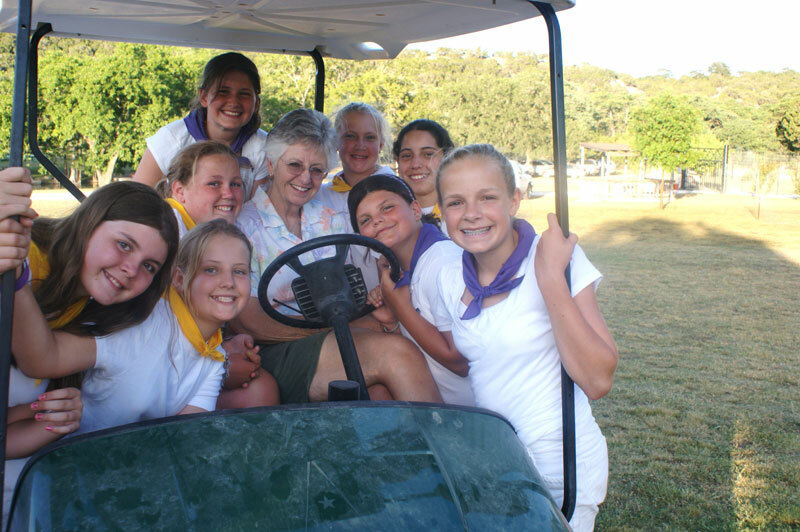 Susan began as a camper at Camp Arrowhead in 1969, worked as a counselor and later as the Camp nurse. 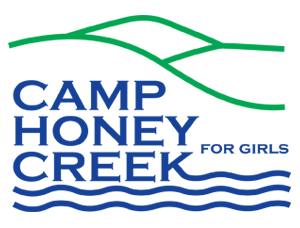 She now serves as the 1st Term nurse at Camp Honey Creek. During the year, Susan is the school nurse at Hood-Case Elementary in Alvin and is married to Michael Hoover. Liz was born and raised in Joliet, Illinois. She graduated from West Texas State University with her bachelor's degree and Lubbock Christian University with her Masters in Nursing. Her nursing background includes oncology, dialysis, home health and school nursing. Liz started as our camp nurse in 1998 at Camp Arrowhead. She with her husband, David, and lives in Muleshoe, Texas. Big Dave and Liz have three adult daughters and two spoiled dogs.